PESHAWAR: A 17-hour long security operation in the Hayatabad area of Peshawar ended on Tuesday after Pakistan Army special forces stormed a residential property and neutralised the terrorists holding the premises. 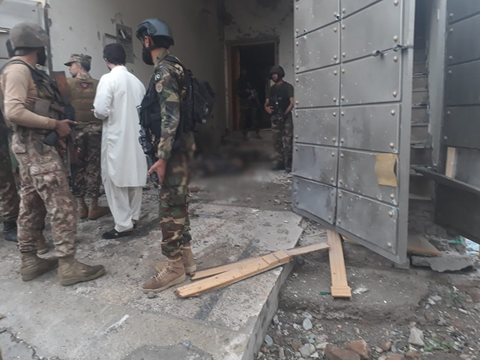 One security official was martyred and at least five terrorists were killed in the operation. The military’s media wing confirmed that an officer and a soldier were also injured in the gun battle. “Army and KP police conducted a joint Intelligence Based Operation in Hayatabad Phase VII, Peshawar against a terrorist hideout. Operation started last night,” said the Inter-Services Public Relations (ISPR). 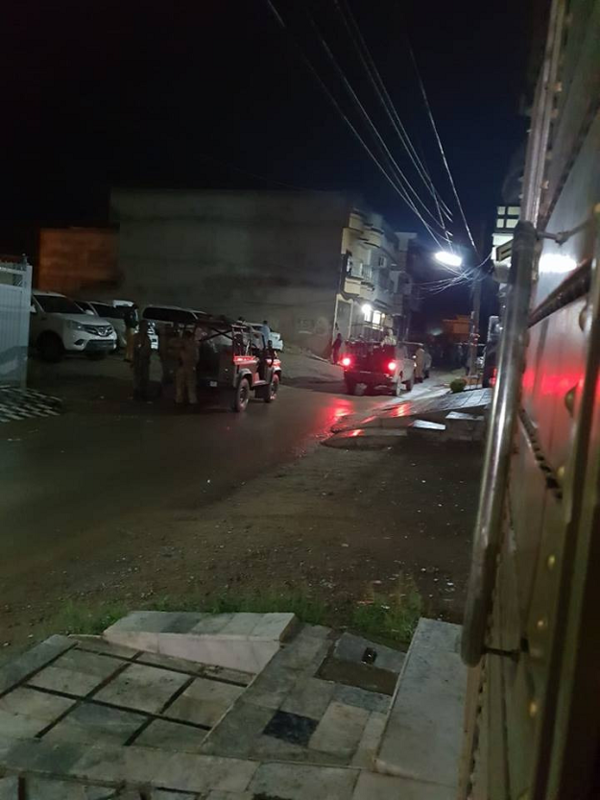 The operation was carried out on the basis of an intelligence tip-off regarding the presence of terrorists in the three-story residential building and security forces faced stiff resistance from the occupants earlier when they tried to enter the property. The basement and the ground floor of the residential property were cleared by mid-morning and at least 10 explosions were heard since 9:30 am. The security forces had made another attempt to storm the property earlier but faced heavy fire, with the terrorist employing rocket-propelled grenades. The security forces retaliated and also shot an RPG. 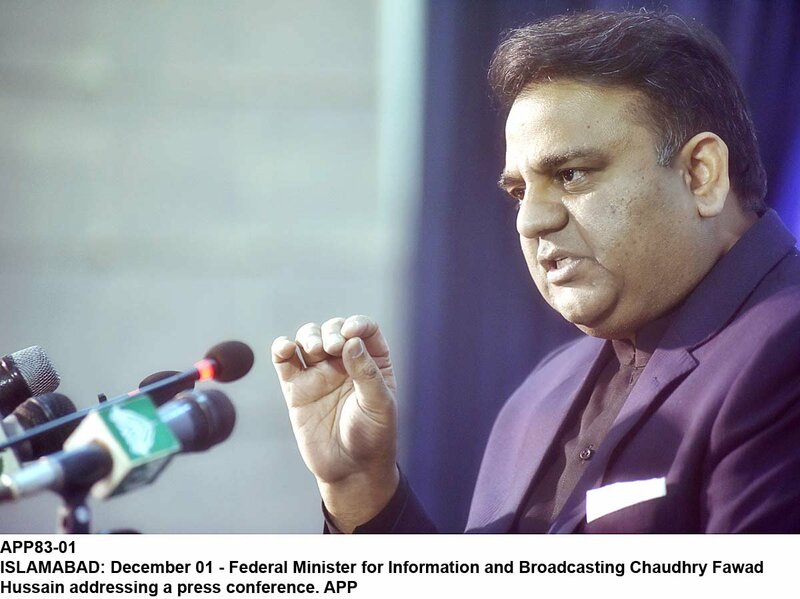 The operation began on Monday night and intermittent heavy exchange of fire between security forces and the terrorists was witnessed as attempts were made to clear the area. 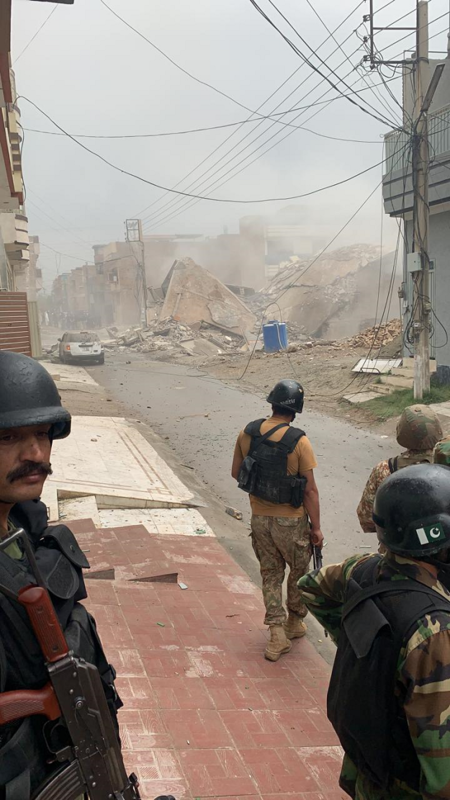 After the all-clear was given by the Army, the house was demolished by security forces and the bodies of the killed terrorists shifted to Khyber Medical Complex. A search operation was also launched after the gun battle to ensure no militants were holding out in the area. 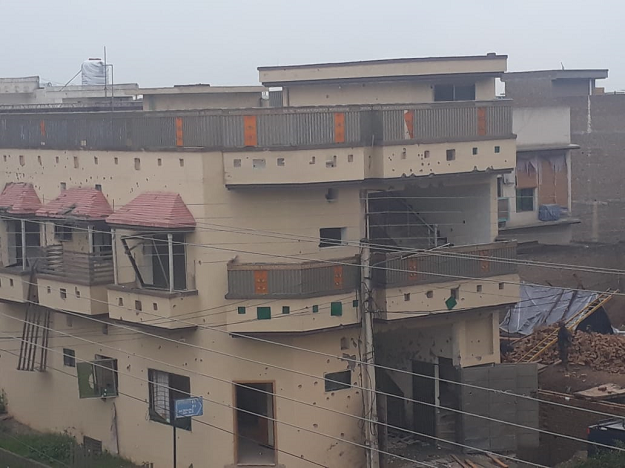 Khyber Pakhtunkhwa Information Minister Shaukat Yousufzai earlier confirmed the incident and said the terrorists opened fire after police reached the house located in phase 7 of the locality. The locality borders the Khyber tribal district. A cordon was put in place around the area and initial information had suggested the presence of six to seven heavily-armed terrorists at the location. 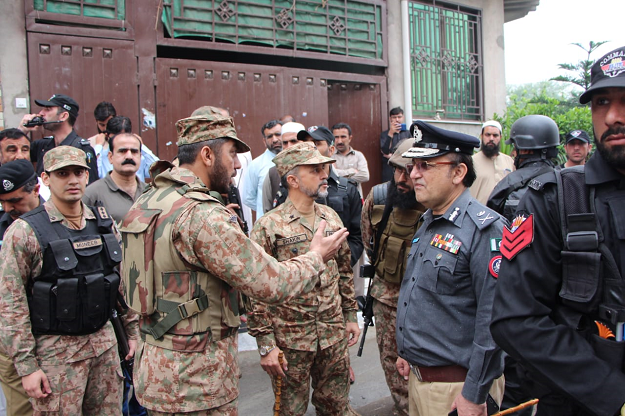 Corps Commander Peshawar inspected the area of operation praised the professional expertise of the security forces while lauding the residents of the area for their cooperation, added ISPR. General Shaheen, flanked by security personnel, said the daily routine of the residents should not be disrupted due to the operation and instructed senior officials to ensure the safety of the area residents.